People would have often come across this situation of their mushrooms getting spoilt because of failing to use them within their shelf life. Contrary to popular opinion, mushrooms are not exactly known for their shelf life. However, there is an efficient work around this problem, that is dehydrating mushrooms for long-term storage. Dried mushrooms are surprisingly tasty and can be used just like regular mushrooms while cooking. Although there are many diverse opinions about mushrooms among the general public, they are indeed quite delicious and nutritious as well. Mushrooms can be dehydrated using regular food dehydrators which are commonly available in the market, and there is no requirement of specialized equipment for this. There is no shortage of recipes which makes use of dried mushrooms as their key ingredient. If people usually do desire mushrooms, they are free always to rehydrate the dried mushrooms at their convenience. 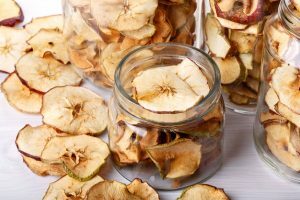 This ability to be re-hydrated at will be combined with the unbelievably long shelf life of dried mushrooms is a huge win for all the food lovers out there. Once they are restored to their hydrated form, they can be used in all dishes just like regular mushrooms. Firstly this article, we shall discuss, how to efficiently dehydrate mushrooms. 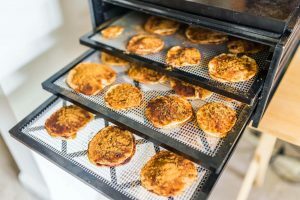 Most people are unaware that the flavor of the mushroom gets stronger as it gets dehydrated, so there is no need to be worried about the loss of taste in dried mushrooms. For those who love the feel of the mushrooms, it can be quickly regained when it is re-hydrated again. So there is no doubt about the fact that dried mushrooms are every bit as good as the normal ones. 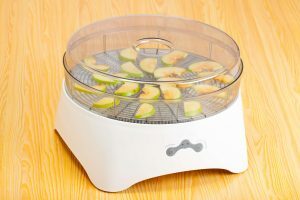 Even though there are many ways available to dehydrate mushrooms, it is best if it is done in a dehydrator. 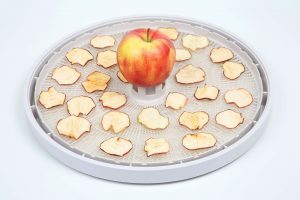 Doing it in a dehydrator ensures that the dehydration happens evenly and efficiently. There are some preparations which have to be done to the mushrooms before it is subjected to dehydration. Although the places in which mushrooms are cultivated are not toxic, it is better to clean them to get rid of all dirt on it. The mushrooms need to be cleaned thoroughly with a brush to get rid of all the dirt on it. Water should not be used to clean mushrooms before dehydration to prevent chances of fungal contamination. It is really important that people are careful of the mold and fungi which grows on mushrooms as it is inedible for humans. No matter how tough the dirt is, no water should be used to clean it, paper towels or anything like that may be used instead in its place. Once they are thoroughly cleaned, they can be cut into uniform pieces. 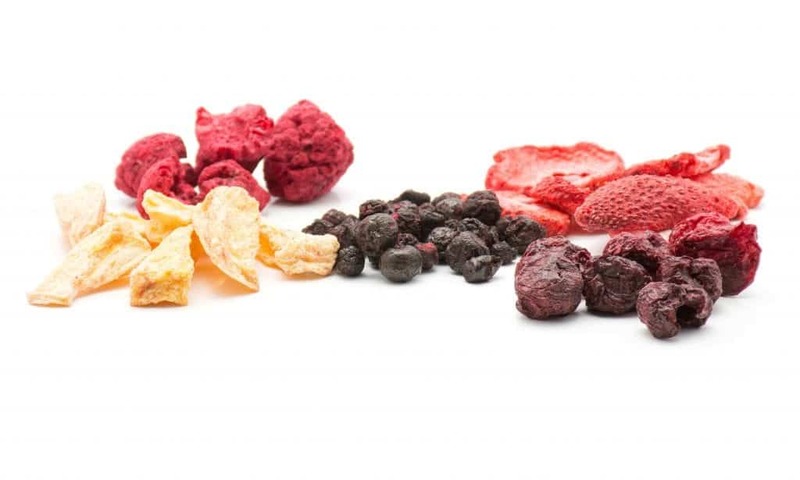 Ideally, the individual pieces need to be as slim as possible, as thicker pieces take longer to get dehydrated. Ultimately, the choice of the cut shape depends on the intended end use of the mushrooms. 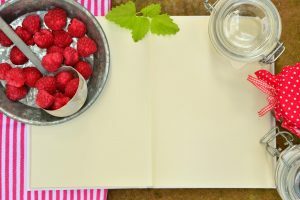 No matter how they are cut, their flavor will be retained and texture too in case they are re-hydrated. • As discussed previously, the mushroom needs to be cleaned thoroughly and cut into pieces before they are dehydrated. Extra care should be taken to get rid of all moisture on the surface of the mushroom pieces. Ideally, the dimensions of the cut pieces should be around one eighth to one-fourth of an inch. • It is important that all the pieces are at least nearly equal in size, even if the sixes are not within the ideal range specified. Uniform cut pieces will ensure that the mushroom gets dehydrated quickly and consistently. People are free to slice the mushroom however they like it as long as they cut it in uniform sizes. 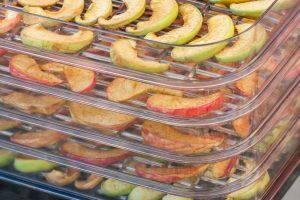 • The cut pieces are then placed in the dehydrator trays in such a way that, there is adequate space between them to support dehydration evenly. It is advisable to ensure that only a single layer of mushrooms are placed on each tray. Even though the pieces shrink post dehydration, they should not be piled together. • For best results, the mushrooms should be slowly dehydrated overnight at about one hundred degrees Fahrenheit. However, the process of dehydration can be sped up depending on the needs of the people by increasing the temperature. It is crucial that the mushrooms end up soft at the end of dehydration and not crispy. 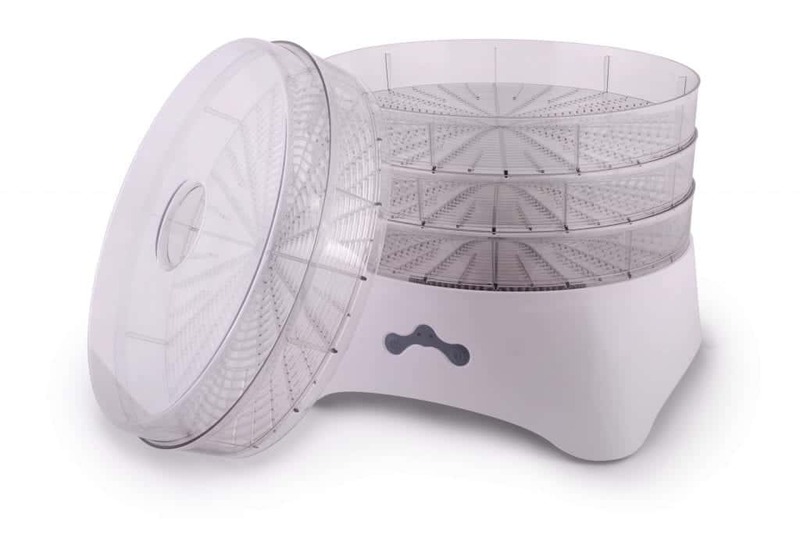 • Once the dehydration process is complete, the dried mushrooms can be removed from the dehydrator to allow them to cool. For long shelf life, the dehydrated mushrooms need to be stored in airtight boxes, away from sunlight. Dehydrated mushrooms can be easily stored for many years if they are shielded from exposure to temperature and humidity. 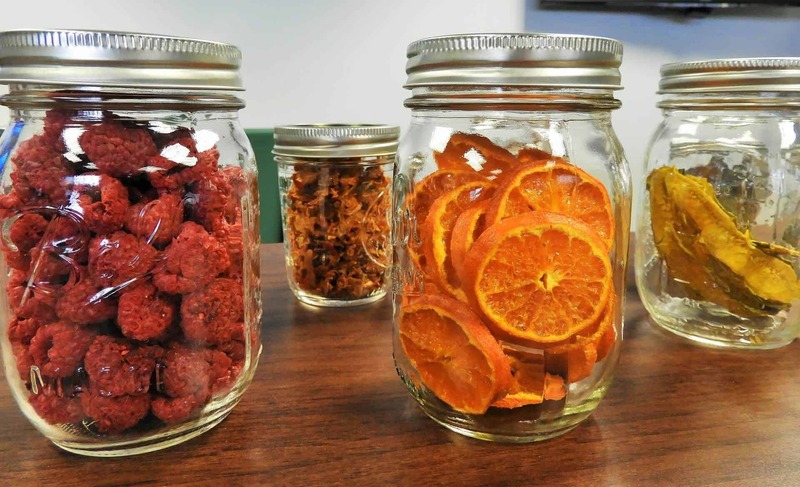 Once they are transferred to a container, they should not be unnecessarily opened many times. 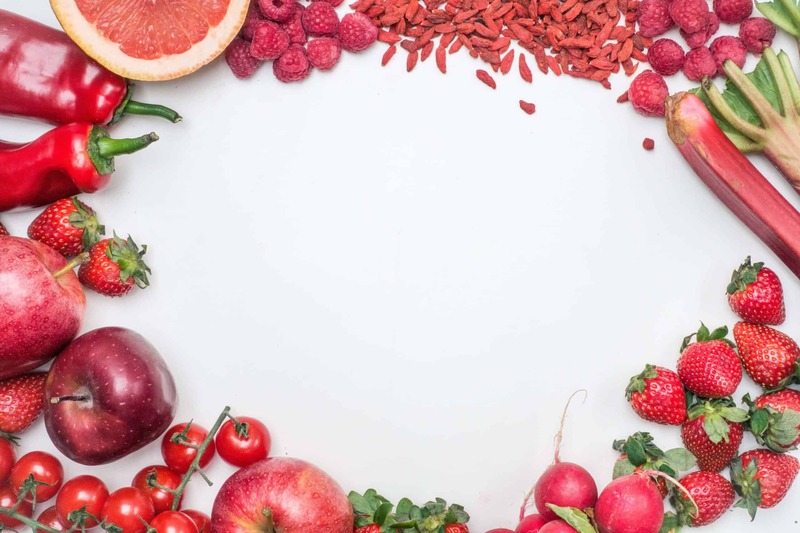 It is advisable not to change containers periodically as this will contribute to change in storage conditions. 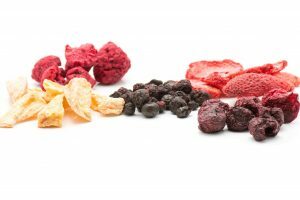 Of course, the dried mushrooms need to be protected from pests just like any other food products, and there is no shortcut for this problem. 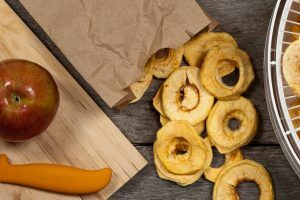 It does not matter if the dehydrated mushrooms are brought from the supermarket or self-grown, they can be re-hydrated anytime as long as there are preserved well. People often rely on upon dehydrated mushrooms to consume them during long journeys. 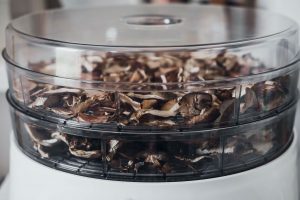 The process of re-hydrating mushrooms is just as simple as dehydrating it. All it requires is the mushroom to be placed in a container over which hot boiling water is poured. The dried mushrooms are allowed to soak in them for about thirty minutes. The soaking period can vary depending on how dry the mushrooms are. Once the mushrooms turn soft, they are separated from the water utilizing a sieve and are ready to be used. The excess water that is left after the mushrooms have re-hydrated can be used in dishes that the mushrooms are going to be used for added flavor. The re-hydrated mushrooms can be used in any recipe just like the regular mushrooms.